"He doesn't need to take paternity leave because he doesn't work in the way most people do but the thinks it's a very modern dad thing to do." Even though his decision raised eyebrows among his critics, some took to online platforms to defend Prince Harry and his right to government-provided right to paternity leave. Of course he is because wifey insists he does and what Meghan wants Meghan gets don't forget. Listen, I like PH and all the others in our royal family, but I feel he is turning into somewhat of a sap, sadly. Is he going to take the statutory pay too? Exactly, to help Meghan and spend time with his baby. Harry is a feminist so I know he doesn't think because Meghan is the woman she has to do everything. Harry will be a hands on dad. ​Prince Harry and his wife Meghan Markle are expecting their first child by the end of spring. Prince Harry is currently sixth in line to the British throne, meaning that his children will follow him in the line of succession. 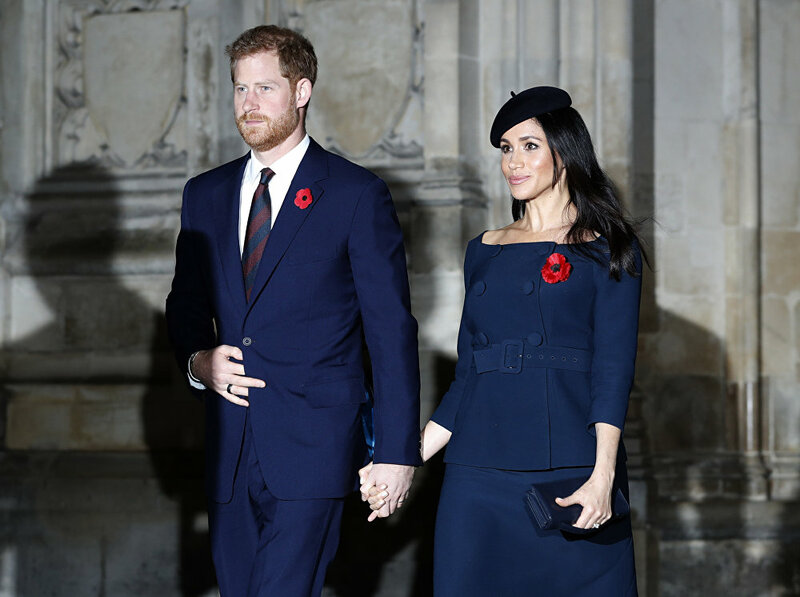 Prince Harry and Meghan, Duchess of Sussex leave Westminster Abbey after attending the Remembrance Sunday ceremony at Westminster Abbey in London, Sunday, Nov. 11, 2018.